It's no secret that all our staff at Cass Art are artists. And to celebrate their creative talent and give them a platform to showcase their work, we are delighted to announce VISIONS - an exhibition of work by artists at Cass Art. 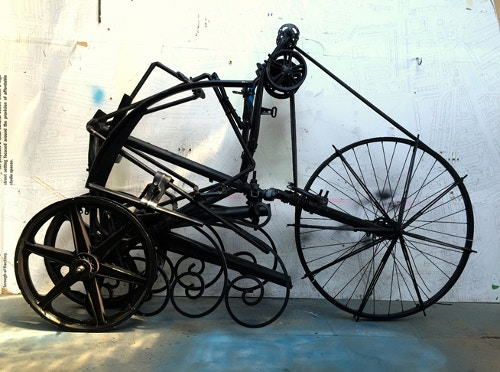 With work by over 100 emerging artists, VISIONS will explore a variety of disciplines including painting, drawing, photography, illustration, sculpture, printmaking and mixed media. Cass Art, still lead by CEO and Founder Mark Cass, is committed to supporting artists and getting their work seen by others. "I'm truly proud to have so many talented artists working at Cass Art," he says. "Visions gives us a chance to celebrate the work being made by artists across the UK - artists who just so happen to be a part of the Cass Art family." VISIONS is open from Thursday 12th November to Sunday 15th November, and what's more, you're all invited! 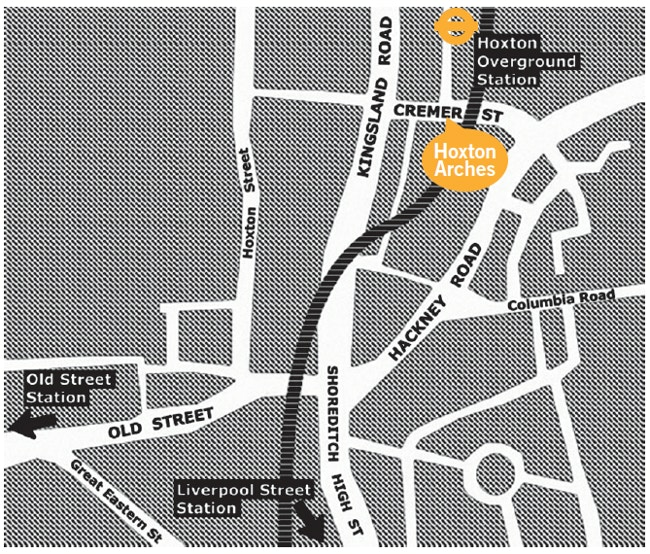 It will be hosted at the converted railway venue Hoxton Arches, a hidden gem in the heart of London's East End. It's located at Arch 402 Cremer Street, a short walk from Brick Lane and Spitalfields Market. Andrew Stahl, Professor of Fine Art at the Slade School of Fine Art, reflects on the show before its opening. "This diverse and fascinating exhibition presents us with a show of around 100 emerging artists and demonstrates the wide range of talent and variety that typifies today’s discourse. With work that touches on the materiality of painting, media and sculpture, and work that refers to symbolic, narrative, descriptive and political dimensions. 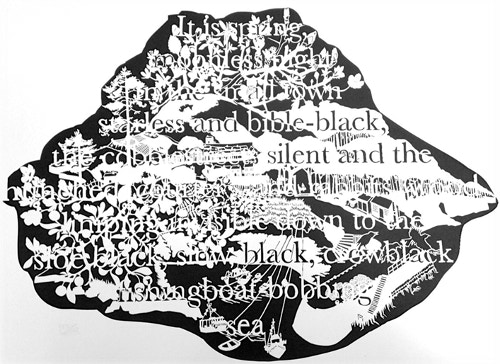 This exhibition celebrates the vision and thriving artistic community that is Cass Art." The show includes work from artists who work in our nine shops, across London, Glasgow, Bristol and Liverpool, as well as our Head Office. To get a taster of what's on offer, read on to hear from some of the artists themselves - and we very much hope to see you at the show! Heather Mills makes intricate papercuts. "What I like most about working with paper is the textures and subtleties that can be created by using different papers – mixing rough, thick watercolour paper with a delicately transparent tissue or a thin, smooth layout paper. I love the control the knife has as well – once the paper has been cut, there’s no going back, no room for mistakes. It’s a very rigid structure, for me." Fern Dixon combines the tactility of fabrics, wools and threads, alongside her interest in low-resolution camera phone photography. 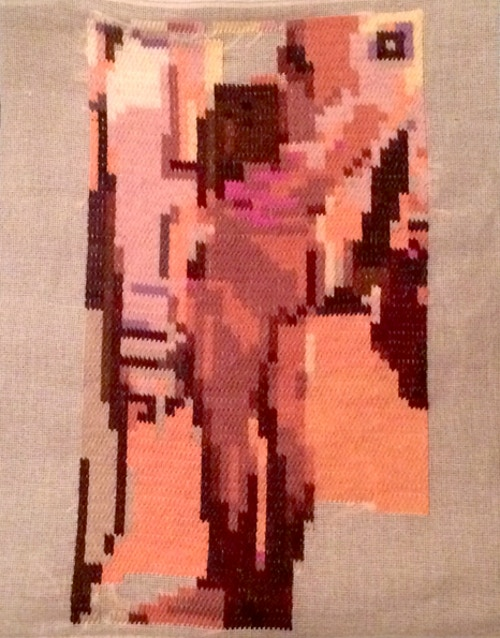 "Feminine crafts are sometimes seen as secondary arts to painting and sculpture, so using sewing to portray frank imagery is my way of quashing these antiquated stereotypes. I use voyeuristic imagery to entice the viewer, add cheek, and because I am interested in the female gaze and how it explores the male body; a perspective that I think is under represented." 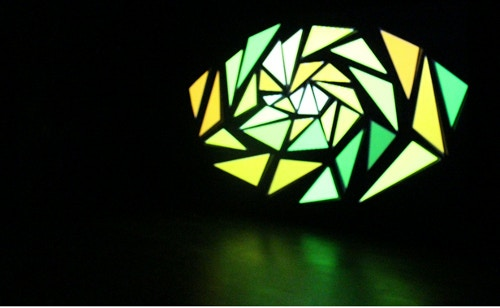 Ashley Panton's piece uses projection mapping to explore the relationship between sound, colour and emotion. "Prometheus, a titan from Ancient Greek mythology is said to have gifted man with fire, a source of light, heat and power that became the catalyst for the evolution of mankind. Taking the story of Prometheus as inspiration, this projection mapped light installation synchronises light, sound, colour and movement in an attempt to create an intensified sensory experience." James Boman's futuristic objects look at the things that we will leave behind for future generations. "Even the most simple objects and materials are valuable if given the right context. 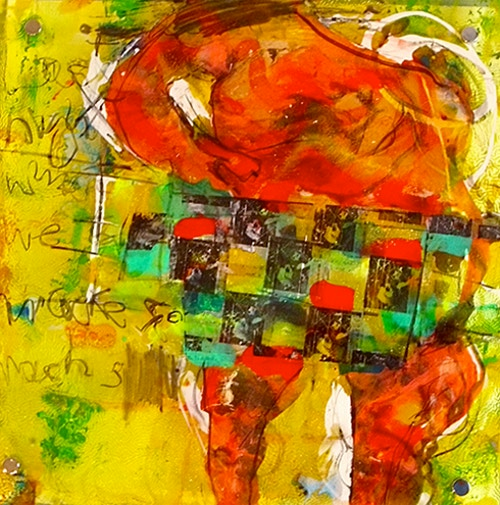 My mission is to make apparent a secret nature and history that exists within all matter." 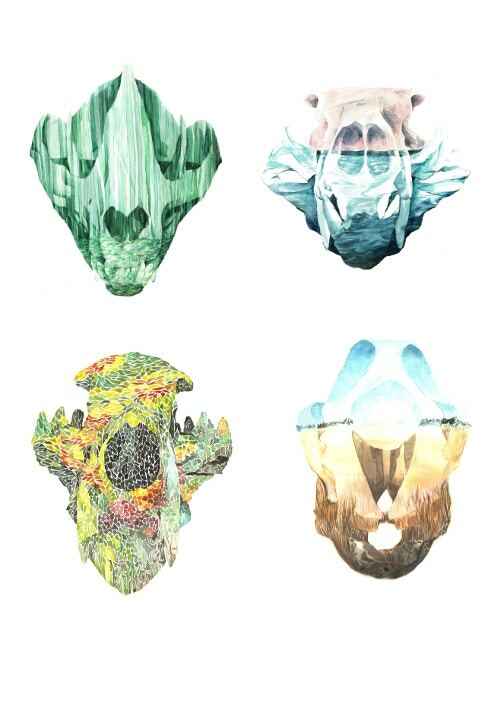 Ailish Sullivan is presenting a watercolour digital print of four skulls. "These are examples of animals who are endangered around the world, and staring back at us are just the empty landscapes they’ve left behind. They feature a Panda, Polar Bear, Black Bear and Rhino." Ronan McGeough is an oil painter. "I observe the knotty system of the urban environment, that in some cases can engulf the human condition. Expressing the decline of the city landscape in the midst of urbanisation, I use a collagist method of composition to record our cultures spiritual wounds, combing all of these elements to create a new environment of experimentation, wonder and unease. I try to create an enlightened way at looking at ourselves, the environment in which we are a part, and the political, social and spiritual factors that shape us. To illustrate what happens when urban landscapes are abandoned for the suburbs, and the remnants of a vibrant neighbourhood are gone." 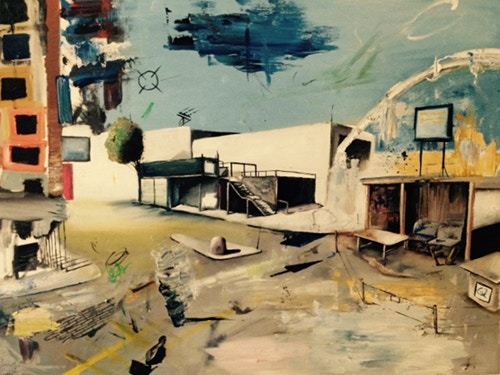 Santiago Alcon’s paintings are inspired by life and events in London. Different mark-making materials, text, colour and light combine to create a visual diary, capturing moments in time as images on glass, perspex and canvas. "This interactive piece looks into how the human need for social connections shapes us, gives us a sense of identity, and how we influence the individuals and groups of people around us in return. It questions the blurry lines between individual self-definition and the communal attribution of characteristics towards groups in society. Which do we adopt unconsciously, which do we unwittingly get identified with. And how do these change over time." See all the Cass Art staff artists' work at VISIONS at Hoxton Arches, from Thursday 12th November to Sunday 15th November. Admission is free. Please let us know what you think of the show using the Twitter hashtags #VISIONS2015 and #CassArt. Listen to Mark Cass in conversation wtih Jo Good on BBC Radio London, discussing VISIONS and Cass Art in London, here, from 12:33 to 29:44.